This volume presents, in one piece, much of the careful and nuanced thought of one of the finest American poets of the twentieth century, and beyond: she died at the age of ninety-five in 2015. Severe, funny, mischievous, and astoundingly clear, these essays present her thinking on topics ranging from John Berryman’s ghost, to prayer, to the stages of vision and revision, to poetry as a radical act, to the essential necessity of faith. 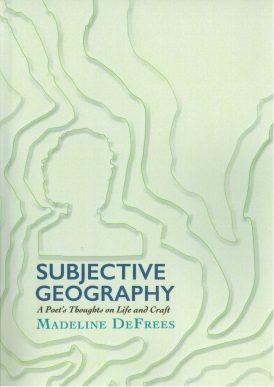 It is indeed a geography and it brings to life DeFrees’ singular and deeply affectionate sensibility.